How often do you find yourself using your slow cooker? If you don’t have one, then you’re missing out on one of the most affordable and convenient ways to cook healthy meals! The biggest complaint I hear from people is that they never have enough time. Time to cook, time to work out, time to work on things outside of work that mean a lot to them. So why are slow cookers so great anyways? Remember the old “Set it and forget it” infomercials? That’s all you have to do with slow cookers. You can throw a few ingredients in the cooker before you leave for work, and have a steaming hot meal ready for you when you walk in the door that afternoon. Take it from me (a guy that hates cooking), these things are easy to use and limit the amount of clean up. Now if you’re new to the world of slow cookers, I’m going to share with you my favorite recipes to cook in them. All you have to do is buy the ingredients, chop up a few things, and set the timer. 1. Smear the bacon grease on the bottom of a large slow cooker . Cut the pork into large chunks and place inside the slow cooker. Then add all remaining ingredients around the pork. 2. Turn the slow cooker on: Low for 8-10 hours, or High for 4-6 hours. Once the pork is fork-tender, use 2 forks to shred the meat into the juices. 3. 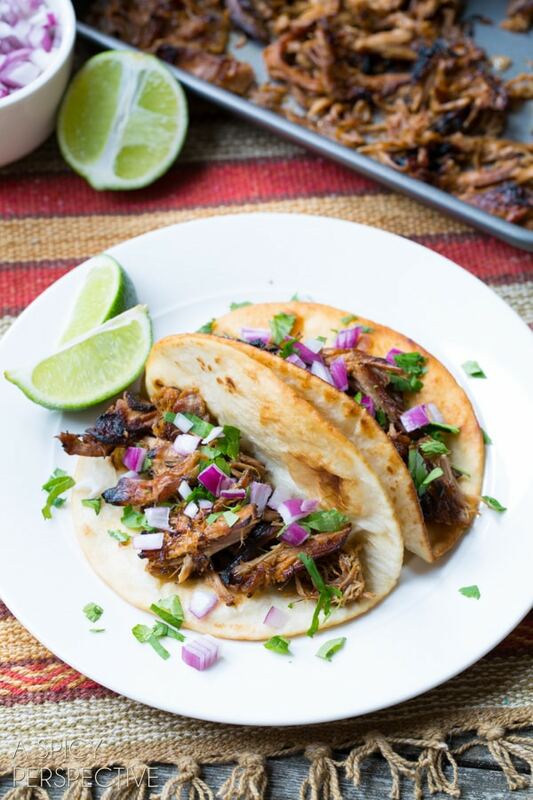 If you like your carnitas crispy on the edges (like it's served in restaurants) use a slotted spoon to scoop the meat out of the juices and spread in a thin layer on a baking sheet(s). Place on the upper oven rack and broil for 2-5 minutes, until darker crispy edges form. Do not take your eyes off the broiler, you can burn the carnitas quickly. Serve over rice, taco, or on top of salads! 1. 1. Heat the olive oil in a large skillet over medium heat. When the oil shimmers, add the onion and cook about 5 minutes or until it begins to caramelize around the edges. Stir in the garlic and cook another minute. Add the turkey and brown all over, breaking up the meat as you go, about 5 minutes. Remove the skillet from the heat. 2. Transfer the turkey to the bowl of your slow cooker. Add in the red bell peppers, chipotle peppers, chili powder, smoked paprika, cumin, cinnamon, and salt. Stir in 2 cups chicken broth, the tomatoes, tomato paste, apple butter, and bay leaves, stir to combine. Cover and cook on low for 6-8 hours or hight for 4-5 hours. During the last hour of cooking, stir in the beans. If your chili is too thick, add the remaining broth to thin as desired. 3. Remove the bay leaves and ladle the chili into bowls. Top with cheddar cheese, avocado and green onions. Eat! 1. Brown the ground sausage in a skillet over medium heat until done. 2. Using a slotted spoon, remove the sausage and place it into at least a 6-quart slow cooker. Discard the grease. 3. Place the oil in the same skillet and saute the onions for 3-4 minutes or until translucent. 4. Add the onions, chicken or vegetable stock, cauliflower florets, kale, crushed red pepper flakes, salt, and pepper to the slow cooker. Mix until combined. 5. Cook on high for 4 hours or on low for 8 hours. 6. Add the heavy cream and mix until combined. Jon Griffith specializes in optimizing performance for firefighters & police. Jon is a personal trainer, firefighter, and former U.S. Army infantryman. He lives in Austin, Texas with his wife and 3 cats.